Specialising in omurice (short for omelette rice) and pasta, Keisuke Omurice is a (very) cozy, Japanese diner-style restaurant that seats about 20 to 25 people. And like every other Keisuke outlet in Singapore, be prepared to wait your turn to sample Chef Keisuke’s delectable creations. 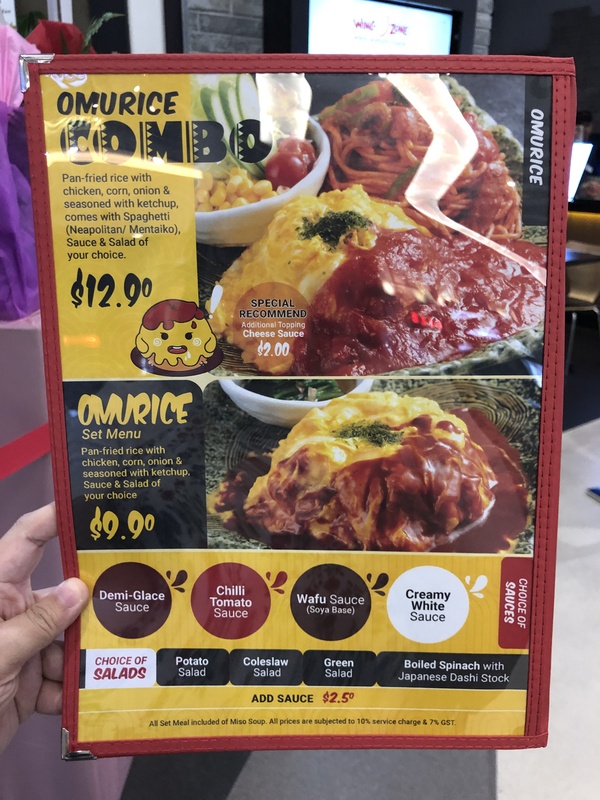 Omurice and pastas are priced at a reasonable $9.90++, with the Omurice Set going for $12.90++. 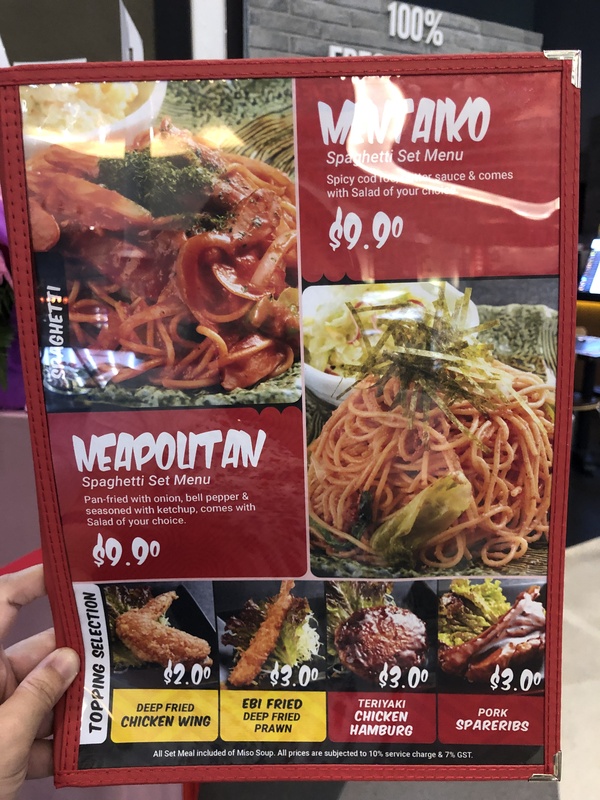 For an added $3, you get your choice of pasta (mentaiko or Neapolitan) , salad (potato salad, green salad, coleslaw salad, or boiled spinash with Japanese dashi stock), and miso soup – pretty decent for its location. Between the Potato Salad and the Green Salad, I prefer the former. The potato salad is perfectly shaped into a round ball (possibly to give diners the illusion of consuming less carbs? ), and the ingredients light yet tasty. For calorie conscious diners, the Green Salad is a pretty substantial bowl of fresh vegetables, and pleasing on the eye as well with its array of colours. In addition to four types of sauces (demi-glace, chilli tomato, wafu, and creamy white sauce), you can indulge in a very sinful Cheese Sauce ($2++) made with three types of cheeses – red cheddar, white cheddar, and mozarella. Yes, three. Each serving of cheese sauce is prepared live at your table, so you can watch its creation take place. The Cheese Sauce is sinfully rich, and I definitely would not recommend attempting this alone if you are not a big eater. Pouring it over my omurice, I was vaguely reminded of the Sanrio character Gudetama languishing away on top of the egg. The sauce does add some saltiness and richness to the omurice, and yields a distinctly grainy texture when eaten on its own. The highly recommended Omurice Set arrived at our table like a gargantuan plating of carbs and more carbs, and I did struggle to finish both servings of omurice and pasta. Digging in, I was immediately transported to Japanese comfort food heaven. Like a blanket being pulled back to reveal a treasure trove of goodies, the omelette yields a perfectly creamy consistency that engulfs the tastebuds in its simple, yet delicious flavour. The generous chunks of chicken meat, combined with the rice, filled me up quickly, while the wafu sauce added a touch of savoury flavour to this dish. I recommend the Neapolitan Pasta to counter the richness of the omurice. Topped with chicken sausage and sliced green peppers, the tartness of the ketchup reminded me of quick pasta lunches that my mom used to whip up after school. Another comforting addition to Keisuke Omurice’s menu, though the pasta came across a tad dense for my liking. For meat lovers who need more of their chicken and pork fix, topping are available at $2 – $3. 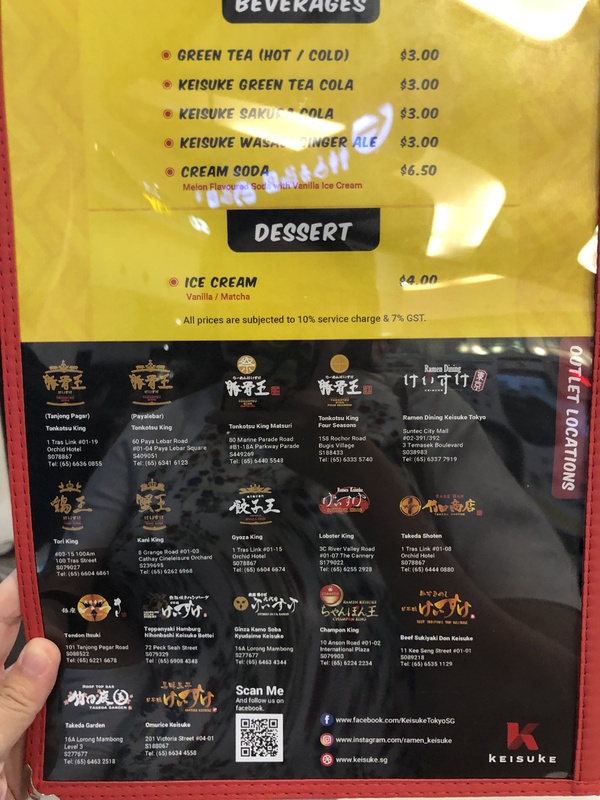 The Teriyaki Chicken Hamburg and Pork Spareribs were the more popular choices when I visited. My honest verdict? The omurice is a winning dish on its own, though I would wait for the crowds to die down before making another visit. It’s pretty comparable to, if not better than its counterpart at Lobster King in Clarke Quay. Can’t wait to see which dish Chef Keisuke conquers next!